Predominately known as the writer of the popular smash hit “The Power Of The Cross”, covered by Natalie Grant in 2010; Shelly E. Johnson’s story of how she entered into music is quite profound- having started to write songs as a way of therapy and healing after her father passed away when she was a teenager. Ever since then she has been writing more and more worship songs, resulting in many EP’s, albums, radio singles, tours and changed lives all around the world. In 2011, Shelly signed to LifeWay Worship in 2011, and subsequently unveiled her debut label EP Power Of The Cross in 2012. In 2014, Shelly released her first full length label release Your Kingdom Come (which we reviewed, however the album is now removed from the internet except from Spotify… weird! ); and she has followed it up with a couple more EP’s in 2016 (Measureless and Christ Be Everything) as well as a Christmas album last year (Christmas Is Beautiful). Not to be content to just rest on her laurels, Shelly is back (yep, back so very soon!) with a brand-new song. Certain to be a hit, and perhaps re-recorded by another artist for radio (Natalie Grant or Britt Nicole, maybe? ); “Home” was made available to the world on all digital outlets a few days ago, and this is quite different to what she has normally recorded. Known for her heartfelt, honest and personal worship anthems, Shelly has instead created an inspirational, piano led slower paced ballad, as we are introduced to a melody where we praise our God for welcoming us home. Though while many may not know of Shelly’s music, I believe that now is the time that she will be known- and it is this song, in my opinion that will set her music apart from many of her other ‘signed’ contemporaries. Certain to be on my rotation in iTunes for a while, and hopefully many others’ music players as well; let’s dive in to see how Shelly’s new single has impacted how we view Jesus’ love for each one of us. With “Home” being sung in light of the knowledge that we all have from reading the parable of the Lost Son; we are gained a potential smash hit melody, as Shelly ardently highlights the fact that ‘…the door is open wide, You welcome me inside…right here within Your arms is where my life belongs, in You, I’m home, in You, I’m finally home…’. Sung against the backdrop of stirring keys and an ethereal, laid back slower paced tempo; there’s just something special and magical about how this song turns out- it’s something you just have to listen to and experience for yourself to fully grasp. As Shelly reiterates that Jesus is the only Home we ever need; her new melody I reckon is sure to be one to be on rotation on my iTunes playlist for many months to come. I am sure everyone else who listens will be touched and inspired by “Home” as well. Shelly also released a music video for the melody as well- and you can watch it below. It’s quite magical and beyond words, so dive in and be blessed by Shelly and the eternal truth that we are home in Jesus. 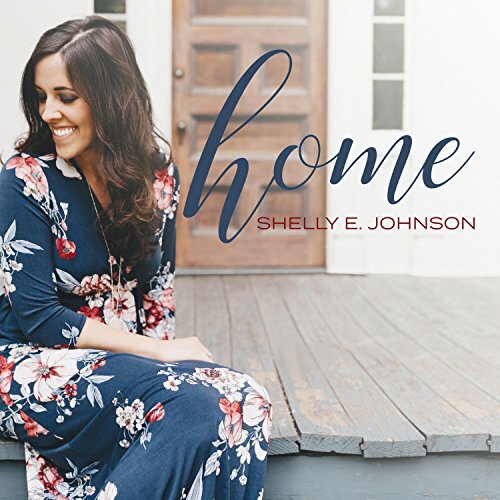 What can I say about Shelly E. Johnson’s new single “Home” that I haven’t mentioned already? This brilliant single from a yet to be named album (releasing TBA!) fittingly shows us a woman on fire for God, who is willing to change the world through her strong faith. As Shelly has given us hit after hit here; I find myself in awe of her songwriting and her worship leading skills. A must buy now, or later, I’m sure Shelly will find herself with new fans; and I look forward for Shelly’s stardom as a writer and singer rises and rises, as God’s name is made famous. Well done Shelly for a standout single release in 2018!